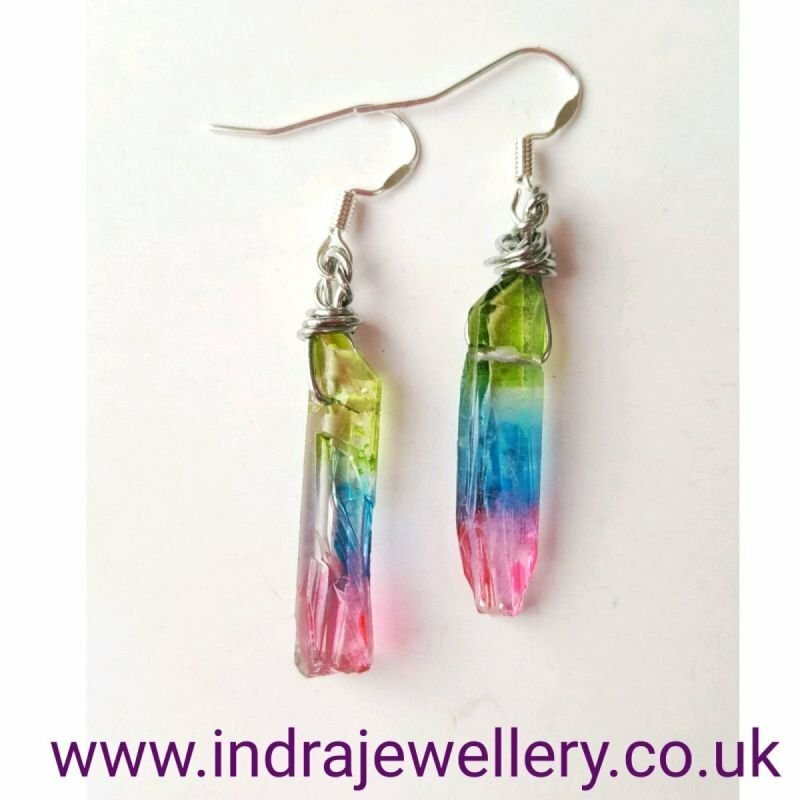 This is a pair of really pretty aura quartz earrings. The earrings are a natural gemstone which is a rainbow titanium crystal, in this case they are a rainbow of pastel colours, pink, blue and green. I have wrapped them and attached them to 925 silver hooks. The photos don't do these earrings justice. I have added a penny to the second picure to give an idea of size.